Have you ever had so amazing cup of tea that you just want to drink it again and again!? But at the same time you just don't want it to end? Yeah, well this is happening to me a lot since I discovered Clipper teas. 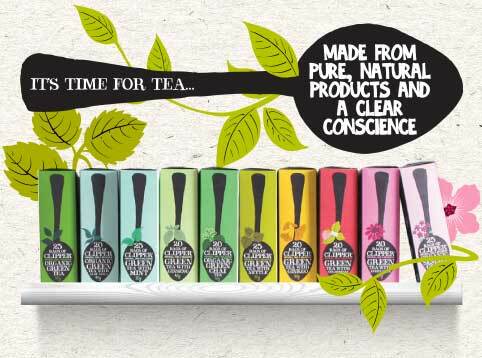 Clipper teas are absolutely natural and they have unbleached tea bags.In 1984 Mike and Lorraine, two tea fanatics, determined to change the world of tea forever. And that's how natural and pure Clipper teas were born. 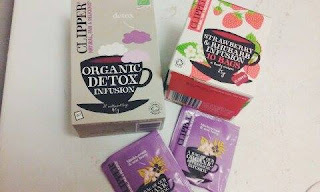 My first experience with Clipper tea's was when I was in London and we had some tea bags in our hotel room. We had four bags with earl grey tea. It was amazing. Back then I didn't really pay attention to what tea I was drinking. I noticed that after a month when my mum came home with one of Clipper's green tea and said - Some guy in work were selling these so I took one, let's try. And Jesus that green tea was absolutely amazing. It didn't need sugar or honey or lemon. It was just perfect the way it is. And then I was really really sad when it ended and the guy in mums work didn't come anymore. But one day when my sister and I were shopping we found these tea's in one shop called ''Biotēka''. Can you imagine how happy I was !? My sister got me orange and coconut tea for Christmas. It took me a week and it was over haha. These teas are really addicting. Now I went to that shop again and bought tree teas. One is with strawberries and rhubarb, then one with red berries and the last one is my absolutely favorite - detox tea. Every single one of them tastes like some kind of jelly sweets and don't need anything else. I have wanted to try detox tea for a very very long time now, but was clearly sure that here in Latvia we don't have them,...but i was wrong. It consists of hibiscus, nettle, liquorice root, natural flavorings and dried concentrated aloe vera powder. And the absolute best about it is that you can really lose some weight with it. Just remember that you use this tea as a part of a balanced varied diet and a healthy lifestyle. You won't get results if you drink only this tea. That's something only models do, but we don't want to be that thin right! ?